1 month experience creating Windows client applications, 1 month of experience using Visual Studio 2017. •	Explain how to use Visual Studio 2017 to create and run a Web application. •	Describe the new features of HTML5, and create and style HTML5 pages. •	Send and receive data to and from a remote data source by using XMLHTTPRequest objects and Fetch API. •	Style HTML5 pages by using CSS3. •	Use common HTML5 APIs in interactive Web applications. •	Create Web applications that support offline operations. •	Create HTML5 Web pages that can adapt to different devices and form factors. •	Add advanced graphics to an HTML5 page by using Canvas elements, and by using and Scalable Vector Graphics. •	Enhance the user experience by adding animations to an HTML5 page. •	Use Web Sockets to send and receive data between a Web application and a server. •	Improve the responsiveness of a Web application that performs long-running operations by using Web Worker processes. •	Use WebPack to package web applications for production. •	Explain how to use HTML elements and attributes to lay out a web page. •	Explain how to use CSS to apply basic styling to a web page. •	Describe the tools that Microsoft Visual Studio provides for building web applications. •	Describe the purpose of and new features in HTML5, and explain how to use new HTML5 elements to lay out a web page. •	Explain how to use CSS to style the layout, text, and background of a web page. •	Create input forms by using HTML5. •	Use HTML5 form attributes to validate data. •	Send data to a web service and receive data from a web service by using an XMLHttpRequest object. •	Send data to a web service and receive data from a web service by using the Fetch API. Styling the content displayed by a web page is an important aspect of making an application attractive and easy to use. CSS is the principal mechanism that web applications use to implement styling, and the features added to CSS3 support many of the new capabilities found in modern browsers. Where CSS1 and CSS2.1 were single documents, the World Wide Web Consortium has chosen to write CSS3 as a set of modules, each focusing on a single aspect of presentation such as color, text, box model, and animations. This allows the specifications to develop incrementally, along with their implementations. Each specification defines properties and values that already exist in CSS1 and CSS2, and also new properties and values. In this module, you will examine the properties and values defined in several of these modules, the new selectors defined in CSS3, and the use of pseudo-classes and pseudo-elements to refine those selections. •	Use the new features of CSS3 to style text elements. •	Use the new features of CSS3 to style block elements. •	Use CSS3 selectors, pseudo-classes, and pseudo-elements to refine the styling of elements. •	Enhance pages by using CSS3 graphical effects. Interactivity is a key aspect of modern web applications, enabling you to build compelling web sites that can quickly respond to the actions of the user, and also adapt themselves to the user's location. This module describes how to create interactive HTML5 web applications that can access the local file system, enable the user to drag-and-drop data onto elements in a web page, play multimedia files, and obtain geolocation information. •	Access the local file system, and add drag-and-drop support to web pages. •	Play video and audio files in a web page, without the need for plugins. •	Use the F12 Developer Tools in Microsoft Edge to debug and profile a web application. Web applications have a dependency on being able to connect to a network to fetch web pages and data. However, in some environments a network connection may be intermittent. In these situations, it might be useful to enable the application to continue functioning by using data cached on the user's device. HTML5 provides a choice of new client-side storage options, including session storage and local storage, and a resource caching mechanism called the Application Cache. In this module, you will learn how to use these technologies to create robust web applications that can continue running even when a network connection is unavailable. •	Save data locally on the user's device, and access this data from a web application. •	Configure a web application to support offline operations by using the Application Cache. One of the most enduring features of the web is its temporary nature. For the first time, the monopoly of the keyboard and mouse is coming under challenge, and that means questioning how user interfaces are designed. You may develop a web application on a computer with a large, high-resolution monitor, a mouse, and a keyboard, but other users might view and interact with your application on a smartphone or a tablet without a mouse, or have a monitor with a different resolution. Users may also want to print pages of your application. In this module, you will learn how to build a website that adapts the layout and functionality of its pages to the capabilities and form factor of the device on which it is being viewed. You will see how to detect the type of device being used to view a page, and learn strategies for laying out content that effectively targets particular devices. •	Describe the requirements in a website for responding to different form factors. •	Create web pages that can adapt their layout to match the form factor of the device on which they are displayed. •	Use SVG to create interactive graphical content. •	Use the Canvas API to generate graphical content programmatically. Animations are a key element in maintaining the interest of a user in a website. Implemented carefully, animations improve the usability of a web page and provide useful visual feedback on user actions. This module describes how to enhance web pages by using CSS animations. You will learn how to apply transitions to property values. Transitions enable you to specify the timing of property changes. For example, you can specify that an element should change its width and height over a five-second period when the mouse pointer hovers over it. Next, you will learn how to apply 2D and 3D transformations to elements. Transformations enable you to scale, translate, rotate, and skew elements. You can also apply transitions to transformations, so that the transformation is applied gradually over a specified animation period. At the end of this module, you will learn how to apply keyframe animations to elements. Keyframe animations enable you to define a set of property values at specific moments during an animation. For example, you can specify the color and position of an element at 0 percent, 33 percent, 66 percent, and 100 percent of the animation period. •	Apply transitions to animate property values to HTML elements. •	Apply 2D and 3D transformations to HTML elements. •	Apply keyframe animations to HTML elements. Web pages request data on demand from a web server by submitting HTTP requests. This model is ideal for building interactive applications, where the functionality is driven by the actions of a user. However, in an application that needs to display constantly changing information, this mechanism is less suitable. For example, a financial stocks page is worthless if it shows prices that are even a few minutes old, and you cannot expect a user to constantly refresh the page displayed in the browser. This is where web sockets are useful. The Web Sockets API provides a mechanism for implementing real-time, two-way communication between web server and browser. This module introduces web sockets, describes how they work, and explains how to create a web socket connection that can be used to transmit data in real time between a web page and a web server. •	Describe how using web sockets helps to enable real-time communications between a web page and a web server. •	Use the Web Sockets API to connect to a web server from a web page, and exchange messages between the web page and the web server. •	Explain how web workers can be used to implement multithreading and improve the responsiveness of a web application. •	Perform processing by using a web worker, communicate with a web worker, and control a web worker. Using models allows you to build large, complex applications. The progress of the language in the version of ECMAScript6 allows the build app with to simplify the application construction process. However, the use of ECMAScript6 modules and other features is not yet supported in all browsers. Tools such as Node.js, Webpack, and Babel enable the use of new language features along with support for different browsers in order to avoid harming the user experience. In this module we will introduce the theory behind these tools, when we need to used them, and the different options for use. At the end of the module we will see how to use these tools to write ECMAScript6 code supported in all browsers. 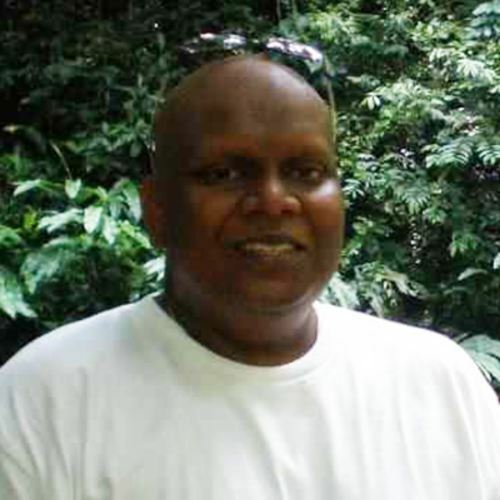 Eswaran has been working in the IT industry since 2000. He has 12 years of involvement in the IT industry with the past 8 years being in IT training. He continuously seeks to update his knowledge with the latest technology developments. Having worked in various IT and telecommunication companies, has given him a strong foundation in database design, development and applications programming on various platforms. As part of the developers' team in various projects, he was also involved in proposal writing on design solutions to clients. Besides conducting Microsoft related training, he also trains on the various applications developed by the company. His key specializations lie in database and programming. He has experience in programming using Visual Basic/NET and also has wide knowledge in implementing and designing database using SQL Server. James has trained more than thousands of people in conducting in-house / public training and private tutoring. With his previous vast experiences, he is allowed to provide training for Microsoft Office 2002, 2003, and Microsoft Office 2007, Programming with Microsoft Visual Basic.net, Querying Microsoft SQL Server 2000 with Transact-SQL, Developing Microsoft .Net Applications for Windows (VB.Net), Developing Microsoft ASP. Net Web Applications Using Visual Studio.Net. 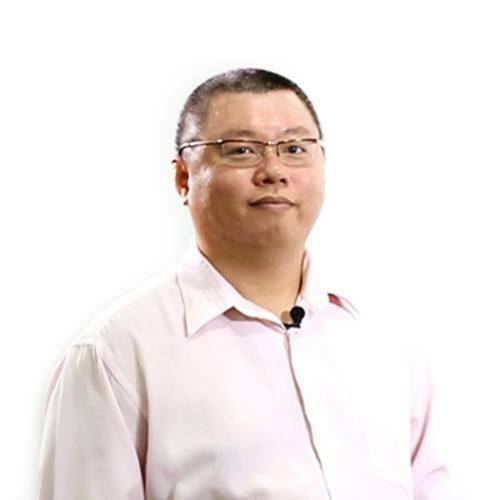 Ng Yew Ban has more than 20 years of experience in the software industry involving full software development lifecycle. He has trained many IT professionals from his specialized and practical knowledge including industry best practices and patterns. Many famous and well-reputable IT training centres have invited him to deliver advance courses for their corporate customers. He started his career with programming and gradually took up the responsibilities of architect, analysis, design, QA, team management, project management, on-site software projects and on-site business development in the United States of America, Australia and Taiwan. He has delivered training courses successfully in Microsoft Certified Professional Developer (MCPD); Microsoft Certified Solution Developer (MCSD) and Microsoft .NET Server Technologies. He has also been instrumental in devising course curriculum, developing courseware and preparing the faculty for in-house training programmes. His participants find his training sessions to be practical, meaningful, informative and extremely interesting. A consultant, MCITP, MCTS(MS SQL 2008), developer (MCSD.Net) and trainer (MCT) with more than 10 years of experience using Microsoft technologies such as MS SQL Server and .Net Framework(Visual Basic and C#). He is also well verse in ASP.Net using Visual Studio .NET 2002/3/5/8 and 2010 to create ASP.NET web application with C#. When not involved in development, Brian focuses on teaching and evangelizing Microsoft.NET technologies and visions. 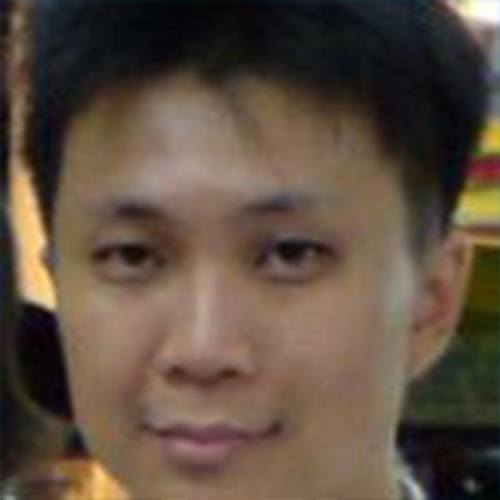 He designed one of the Hot Labs Session during the Visual Studio .Net launch in Singapore. In August 2011, he conducted MS SQL Server 2008 R2 new features and performance tuning workshop for Microsoft partners. He was the speaker for Microsoft technical and partner briefing seminars in Singapore. Cheah has more than 23 years of experience in the IT industry and 17 years in computer training. 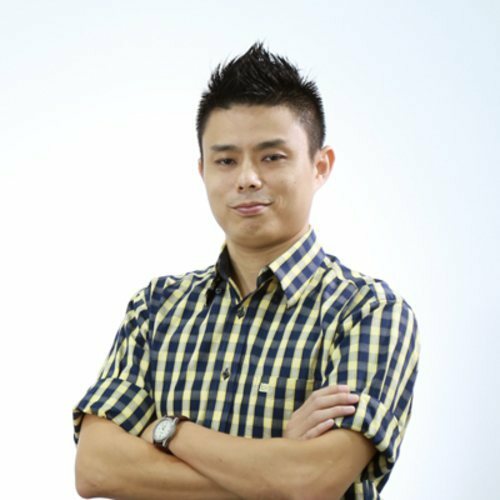 He has 5 years of experience as an analyst programmer in a Singapore manufacturing company where he gained knowledge and analytical skill to develop and handle different systems. He also gained a reputation of providing high quality of training and of sharing his knowledge and experience. 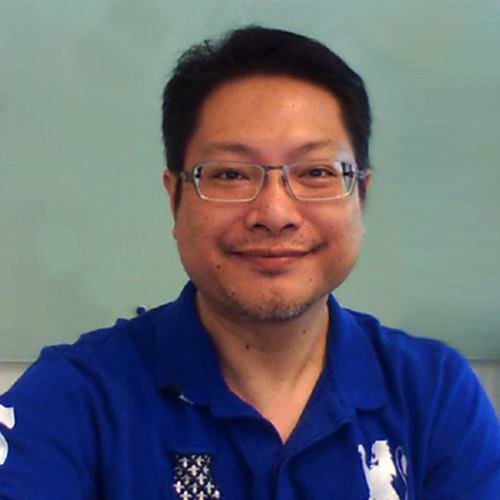 Daryl Soong has been working in the IT industry since 1996. As such, he has had ample exposure and experience relating to all manners of businesses and problem scenarios faced by IT personnel of different levels. He understands the importance of business value, infrastructure efficiency and user productivity.He has a passion for Microsoft server systems, messaging infrastructure, database server implementation & administration, windows & web programming, as well as Cisco routing and switching. He specializes in the fields of databases, server & web development.He has successfully managed and implemented several local projects related to his area of expertise. His key areas of work have been on various platforms using Microsoft Windows Servers and Active Directory, Microsoft Exchange Servers, Cisco Routers and Switches.